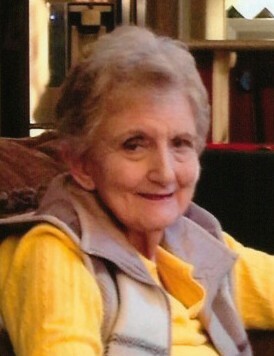 North Augusta, SC……..Mrs. Annette Calhoun Brown, 82, wife of 57 years to the late Winford E. Brown, entered into rest on Saturday, November 3, 2018 at National Healthcare. Her funeral service will be held at 2:00 PM on Saturday, November 10, 2018 in the Rowland-Ford Funeral Home Chapel with Rev. Roy Kiser officiating. Interment will be in Pineview Memorial Gardens. A long time member of the First Baptist Church of North Augusta, she was a member of the Bobby Dodd Sunday School Class and Strom Fellowship. A true southern lady, she loved nothing more than cooking and taking care of her family. She is survived by her daughter, Sharon Lamar (Philip) of North Augusta; her son, Rob Brown (Stefanie) of Marietta, GA; four grandchildren, Evan Lamar, Aubrey Lamar, Zachary Brown and Allison Brown and one great grandchild, Theo Lamar. The family will receive friends at Rowland-Ford Funeral Home one hour prior to the service. Memorials may be made to the First Baptist Church of North Augusta Missions Fund, 625 Georgia Ave. North Augusta, SC 29841.